029: Ready For The Perfect Researched University Student Lifestyle? 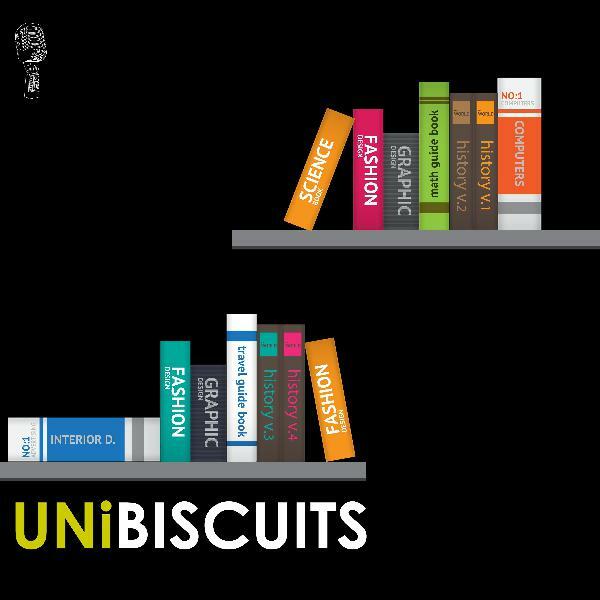 Discover UNiBISCUITS 029: Ready For The Perfect Researched University Student Lifestyle? When there are a thousand things on your mind, it can be easy to forget to take care of yourself and the importance of your health. It’s only when you start feeling the symptoms of an illness or you start to feel unwell that you actually get a bit concerned. We did a comprehensive research on how to come up with the best student life at the University. And on this episode we share with you these tips, according to our findings on how best to try and avoid the unwanted illness and try to keep you fit throughout your time as a student at the University. 30 Questions That Might Change Your Life!“Judge a man by his questions rather than his answers.” – Voltaire“We make our world significant by the courage of our questions and by the depth of our answers.” – Carl SaganThanks to everyone who support us each day. We love you!! 30 Questions On The 30th Episode. 028: Dear Graduates, Are You Ready to Take Risks, Prove Your Passion, and Learn Fast? 027: Should We Really Make New Year's Resolutions? This a our final episode for the year 2018. It marks the most SPECIAL episode we ever recorded as it's dedicated to each and everyone of you out there who helped make this much progress.And we do have those really special persons who touched our hearts and whom we really hold dear to our hearts for being with us, each step of the way. Josefin Otti,Miklol, Haggens, Francis and Patrick,You guys are amazing and so this is a special THANK YOU! 025: Have You Figured Out Your Purpose Yet? 024: How important is it to have a professor from your ethnicity group? 023: How Do You Survive The Exam Season? If your university hasn’t turned out to be what you’d hoped and you’re not enjoying it, the disappointment and subsequent panic can be hard to handle. So what do you do if you don’t like your course/university?Thank you Cass Hebron for the notes. 022: What Happens If You Don't Like Your Uni? 021: Student Happiness: Where can you find it? 020: What About Deadlines, Balance & Perfectionism? "umop apisdn" is "upside down" spelt upside down with different letters of the alphabet.On this episode, we explore reasons why you should spare some time to discover the basics – rules, grammar and principles and how they help towards an inclusive campus environment. 019: How Does Learning A New Language Make An Inclusive Campus? 018: How Do You Study During The Holidays? As members of the student society, we all share in the responsibility of addressing marginalization through advocacy, participation in school political processes that effect student policies, and striving to become more self-aware and more aware of factors that contribute to marginalization and oppression. 017: How Can Student Society Help Address Marginalization? To succeed, diversity programs need campus-wide support. However, studies show that even those who value equality may unconsciously behave in discriminatory ways. This is called having an unconscious bias.On this episode we examine the most common biases and their effects on creating an inclusive campus. And as promised we also briefly explore the impacts of marginalization on campus. 016: What are the Challenges to Creating a Diverse and Inclusive Campus? Diversity has a positive impact on all students. In fact, when students identify their college campus as a nondiscriminatory environment, underrepresented students feel a greater sense of belonging. This episode introduces the Diversity & Inclusion Series where we'll explore the key impacts of marginalization in campus. 015: Why Does Diversity & Inclusion Matter In Campus? There are four types or levels of apprenticeship available. Each level has different entry requirements, and each apprenticeship vacancy will specify what these are, along with the qualities the employer is looking for. On this episode we find out more about intermediate, advanced and higher apprenticeships and we explore the industries they are offered in.Content was mainly researched online. 014: What Are Intermediate, Advanced and Higher Apprenticeships?